Delivering an adaptable workplace focused on employee health and wellbeing, Melbourne Quarter has delivered its first commercial tower, One Melbourne Quarter, at 699 Collins Street. Owned by the Lendlease-managed Australian Prime Property Fund (APPF) Commercial, approximately 400 Lendlease employees occupy three levels of the 13-storey building. Global design and engineering firm Arup also occupy the building, with wealth manager AMP moving in by 2019. With the first phase of the precinct’s Sky Park now complete, this new green public space is elevated 12 metres above the hustle and bustle of Collins Street. Designed by Denton Corker Marshall architects in collaboration with Aspect Oculus, the park features a striking sculptural spiral staircase leading up to the space from Collins Street. In the near future, Melbourne Quarter will include a new retail laneway connecting Collins and Flinders Street and a major new city square in the centre of the precinct. The neighbourhood’s future buildings will provide new spaces for residents, workers and the wider community, with the creation of workplaces and homes, boutique dining and shopping, and communal green open spaces. Currently under construction is Two Melbourne Quarter at 697 Collins Street – the precinct’s second commercial building. Jointly owned by APPF Commercial and First State Super, Two Melbourne Quarter has secured EnergyAustralia as the anchor tenant for the building. 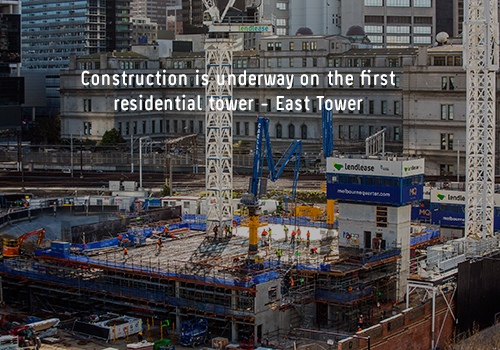 The precinct’s first residential tower, East Tower, is also under construction at 628 Flinders Street. Mitsubishi Estate Asia is a joint venture partner with Lendlease in the tower, which is set to become Lendlease’s largest residential building in Australia. Project Director, Brian Herlihy, said these various green and open spaces will promote wellbeing and a green city life for Melburnians. “This is great news for Melbourne Quarter’s residents and workers, as well as visitors to the precinct, who will be able to enjoy many new outdoor urban spaces and laneways,” he said. “We want this area to become a social, economic and residential hub that makes people’s lives better through a combination of great office and residential design, amenity, vibrant retail and authentic public realm that references the rich heritage of the site. Melbourne Quarter is set to become one of the largest mixed-use urban regeneration developments in Melbourne, expected to deliver more than 130,000 sqm of commercial office space, 1,700 apartments and 40 retails shops once complete. 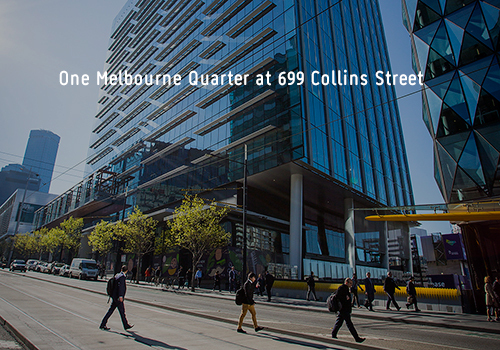 Bordered by Collins and Flinders Streets, Melbourne Quarter is located directly opposite one of Melbourne’s busiest transport hubs, Southern Cross Station. Construction commenced on the project in 2016, with the remaining commercial and residential buildings to be completed in stages over the coming years. 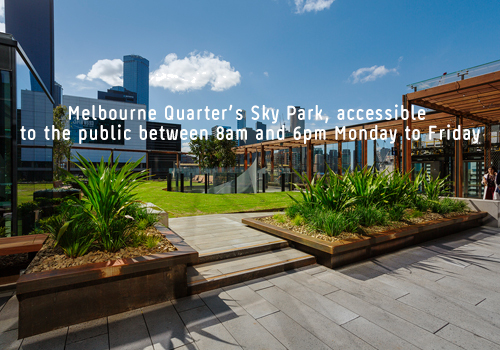 Visit https://www.melbournequarter.com/ to find out more about Melbourne Quarter.